Sophomore forward Jessica Herrman has rebounded this season and been a regular substitute for the Missouri soccer team. After suffering from two ACL injuries and now this year battling a hamstring strain, Herrman scored her first collegiate goal in a 2-1 victory over Kentucky. Herrman and the Missouri Tigers have advanced to the second round of the NCAA Tournament and play Washington Friday at 6:30 p.m. in Stanford, California. Redshirt junior Brittanee Randle is the Mizzou women’s soccer team’s representative to the Southeastern Conference’s Soccer Community Service Team. After failing to make the postseason tournament last year, the Missouri Tiger women’s soccer team posted an 11-6-3 record to earn the sixth NCAA tournament birth in program history. Missouri last appeared in the NCAA tournament in 2012 but fell to Illinois in penalty kicks. Missouri now returns to the tournament to take on a familiar foe, the Kansas Jayhawks. The Tigers last squared off against the Jayhawks in 2011, when Missouri scored three goals in the final six minutes to take a dramatic 3-2 victory. The Tigers trail in the overall series 9-10-1 but have also won the last three against the Jayhawks. The Tigers have knocked off four teams that also earned NCAA tournament bids this season, all from the Southeastern Conference. Missouri has beaten Kentucky, South Carolina, Georgia and Arkansas. Missouri faces Kansas Sunday at Rock Chalk Park in Lawrence, Kansas at 1 p.m.
Four members of the Missouri soccer team received end of the year awards from the Southeastern Conference, following the Tigers’ fourth place finish in the regular season. The Missouri Tigers defeated the Arkansas Razorbacks 2-1 Thursday night at Walton Stadium with a first round bye in the Southeastern Conference Tournament on the line. The Tigers clinched fourth place in the SEC, improving their record to 11-5-3 and 6-4-1 in conference play. The Razorbacks fell to 8-6-1 and 4-4-3 in the SEC, settling into the nine-seed for the conference tournament. visitors were able to hold off the Tigers over the final six minutes. 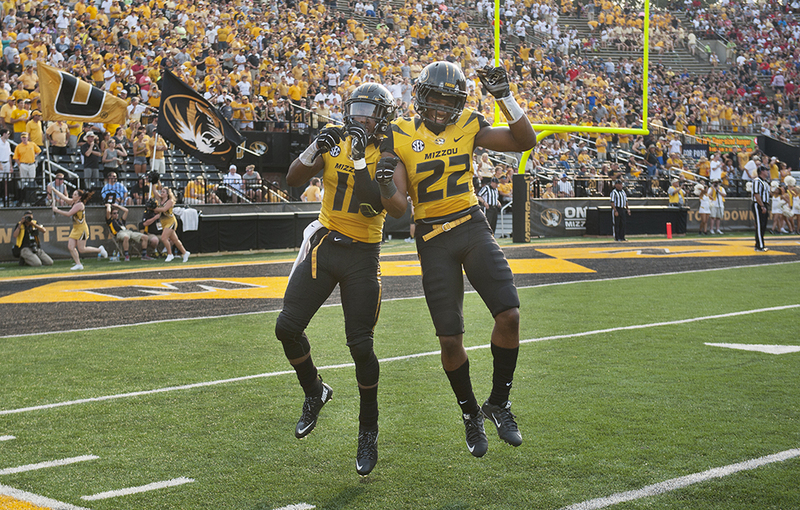 For the second time this season, the Southeastern Conference has awarded a Missouri player its Freshman of the Week honor. Forward Allie Hess from Kearney, Mo., scored Missouri’s equalizing goal in Friday’s victory over Kentucky and assisted both goals in Sunday’s win against Vanderbilt. The goal was the first of her collegiate career. Just two weeks ago, Kaitlyn Clark was given the weekly award. Missouri goalie McKenzie Sauerwein (1) keeps an eye on the ball after it gets past teammates Melanie Donaldson (10, hidden) and Taylor Grant (18) and heads toward Vanderbilt’s Claire Anderson (34) on a corner kick. Sauerwein posted her fifth shutout of the season in the Tigers’ 2-0 victory over the Commodores. Missouri’s Lauren Flynn (11, hidden) throws the ball in to teammate Reagan Russell (6), as Vanderbilt’s Taylor Richardson guards Russell closely. Flynn and the Missouri defense allowed 5 shots on goal by the Commodores. Missouri’s Melanie Donaldson (10) gets a pass off against Vanderbilt’s Cherrelle Jarrett (14). 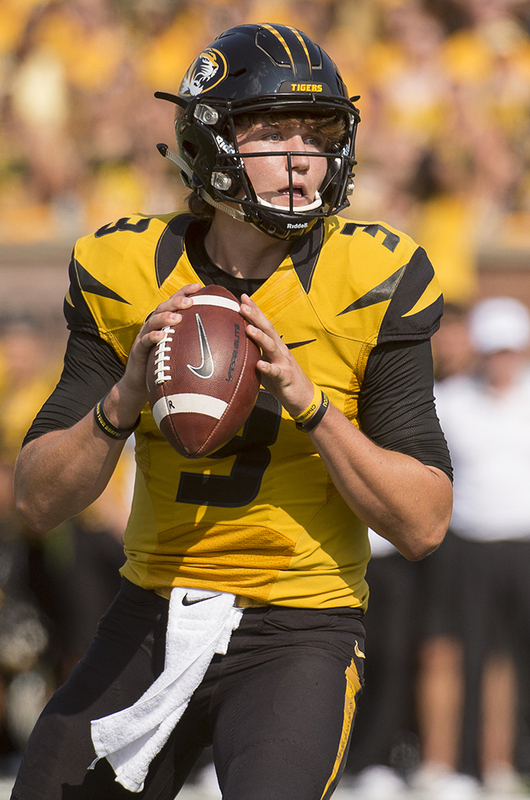 Donaldson and the Tigers accounted for 17 shots in Missouri’s ninth victory of the season. Missouri’s Savannah Trujillo (20) tries to dribble around Vanderbilt’s Kelsey Tillman (22) during the Tigers’ 2-0 victory over the Commodores on Oct. 5, 2014 at Walton Stadium in Columbia, Missouri. Trujillo had three shots on the afternoon, including two on goal. The Missouri Tigers defeated the Vanderbilt Commodores 2-0 Sunday afternoon at Walton Stadium, completing a home weekend sweep.